Sammy Curtis took the baton from Lena Nelson for the anchor lap in the in 4 x 200-meter relay at Cashmere. 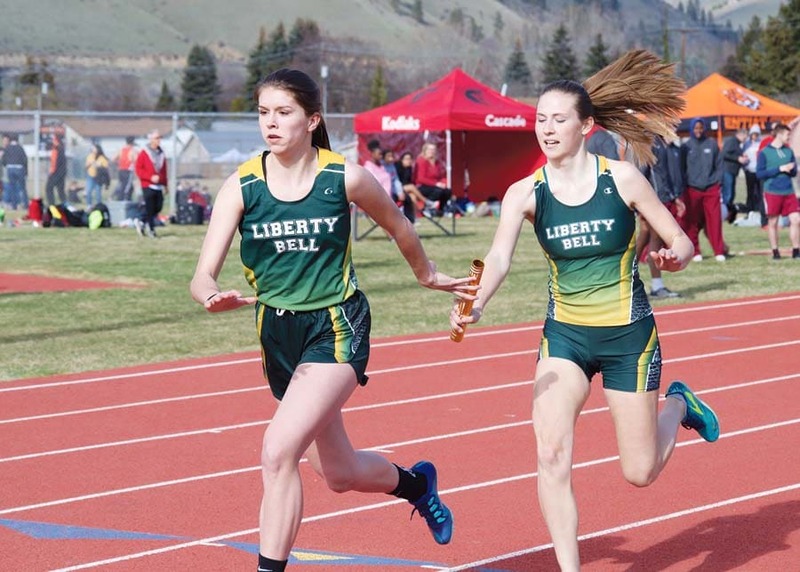 More Liberty Bell track athletes were able to see action as the Mountain Lions traveled to Cashmere for a multi-team meet last Thursday (March 28). Highlights for Liberty Bell included senior Emerson Worrell winning the boys’ 800-meter race, and taking third place in the 1,600M. Senior Brayden White took second in the 200M dash and fifth in the triple jump. Junior Magnus Treise was second in the triple jump, third in the javelin throw and sixth in the shot put. Treise, who had a busy day, was also 10th in the 100M dash. On the girls’ side, senior Icel Sukovaty completed what assistant coach Erik Brooks called an “Iron Woman” effort, running in the 400M, 800M, 1,600M and 3,200M races. She took second in both the 1,600M and 3,200M runs. Sophomore Keeley Brooks was fifth in the 800M and third in her first 3,200M race. Sophomore Lena Nelson was fourth in the 1,600M. Sophomore Liv Aspholm was second in the 800M run. Freshman Caitlyn Cooley took third in the girls’ shot put, followed by sophomore Sammy Curtis in fifth. Cooley was also seventh in the discus. 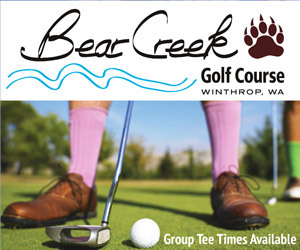 Liberty Bell’s next meet is on April 13 at the Cashmere Invitational.